Because of the crazy haze outdoor, for the past week, we have been spending more time at home even though it was the school holidays. And lucky us, we’ve got to play and enjoy in our very own playground at the comfort of our home. When the girls saw the new addition in our living room the other day, they were stunned like vegetables for a short while, and then it was none stop sliding and more sliding thanks to #FrisoExperience! Even the father couldn’t resists sliding down too! Personally I’m loving this setup because the girls had been bugging me to buy a slide for them for more than a year, and every time we see one in the toy store, they would go climb up and slide down non-stop. Now that they have their own at home, we can skip the sliding in stores. 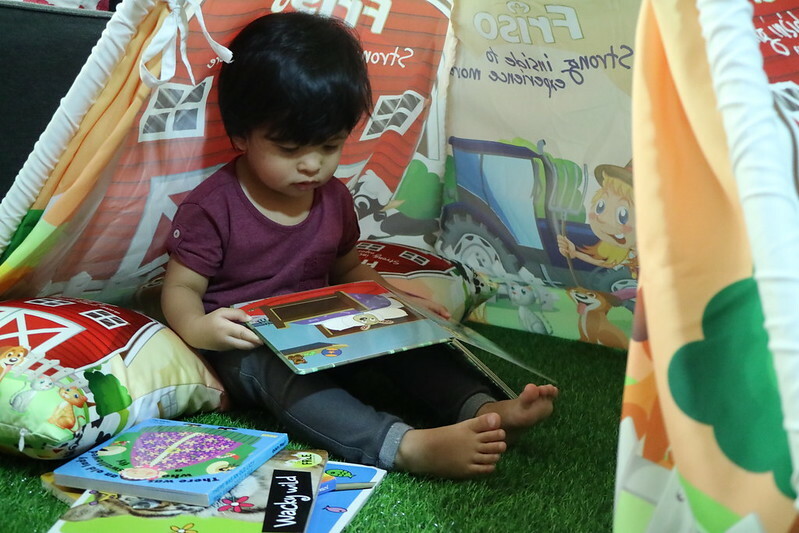 The play tent makes good reading nook too in the day. Maybe I’ll put in some sparkling LED lights for more imaginary fun at night. If your child is on Friso, you can own this set of playset too because Friso wishes to encourage parents to have special parent-child experiences by engaging in creative play with their little ones, they are giving away this Friso Experiences Play Set worth $300 to you! 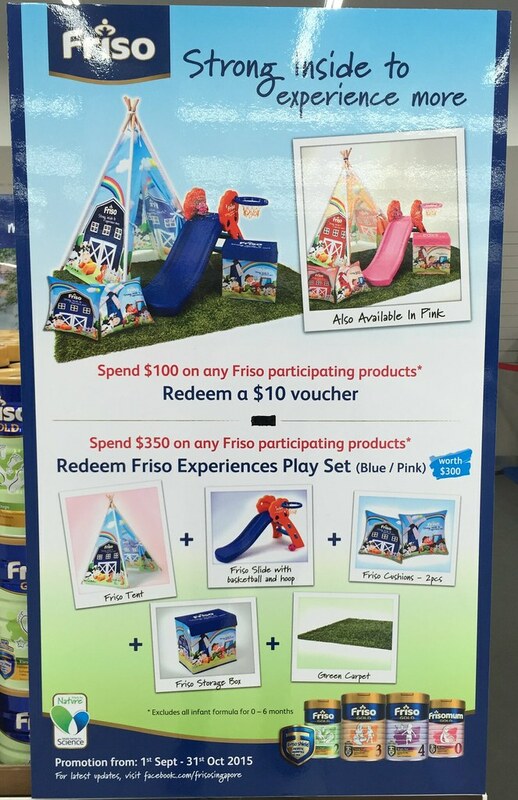 From 1 September 2015 to 31 October 2015, parents who spend $350 on any Friso participating products at participating retailers will receive the Friso Experiences Play Set, consisting of a tent, a slide with a basketball hoop (comes in blue or pink), 2 cushions, a storage box and a green grass carpet. Below’s our setup at home with the pink slide. 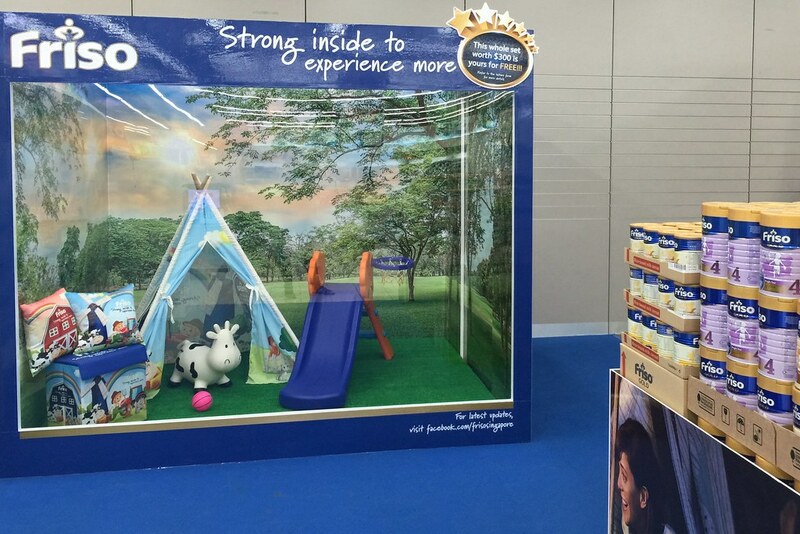 The participating Friso products included in this promotion are Frisomum, Friso Gold Cereal and Friso Gold 2, 3, 4. It excludes all infant formula for 0-6 months. There will also be a special Friso Experience Play Zones at FairPrice outlets and Sheng Siong outlets (details below). 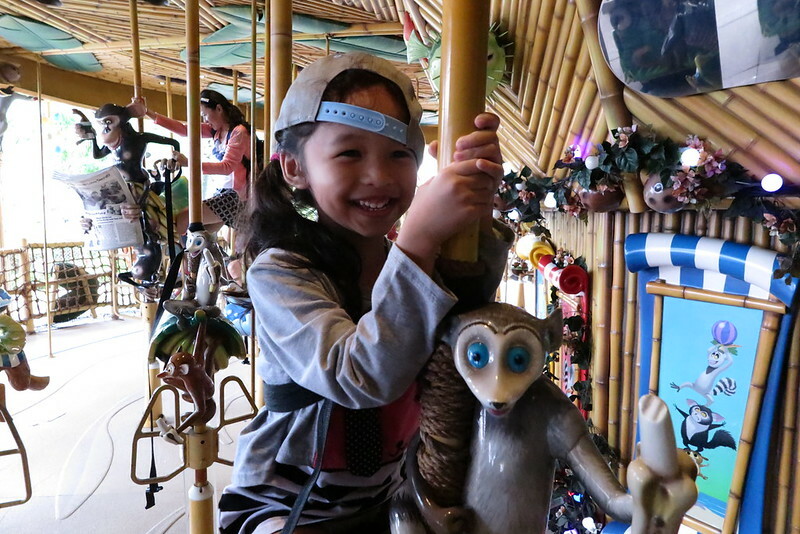 Parents are invited to take pictures with their little ones at the play zones, Friso ambassadors will be on-site to snap photos during the weekends. Redemption forms must be submitted online at apps.facebook.com/frisoexperiences by 6th November 2015. So you have 6 extra days after the promo ends to do it! Don’t waste the chance to have some sliding fun time with your little ones! 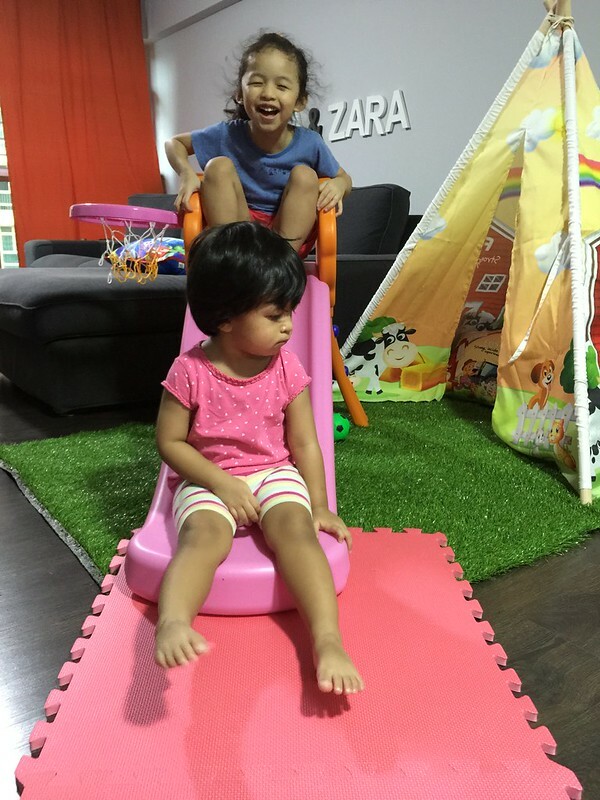 Let your children have lots of sliding good time with their very own Friso Experience Play Set now! Wheeeeee! This post is brought to you by Friso. Check out Friso Facebook Page for more info on the above promotion. I saw the Friso set at NTUC and am so jealous… Sigh.. my kids are all grown up and this would have been so COOL if they were younger. So cute! 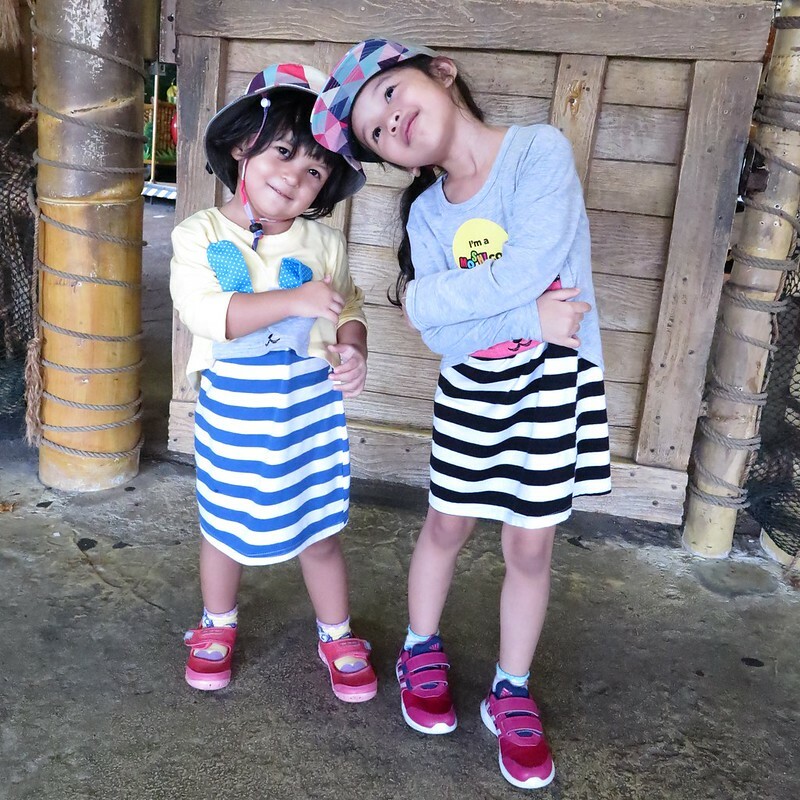 My children have grown out of “play set phase”, can’t believe they grow so fast! Friso hit the jackpot with this campaign over September and October! 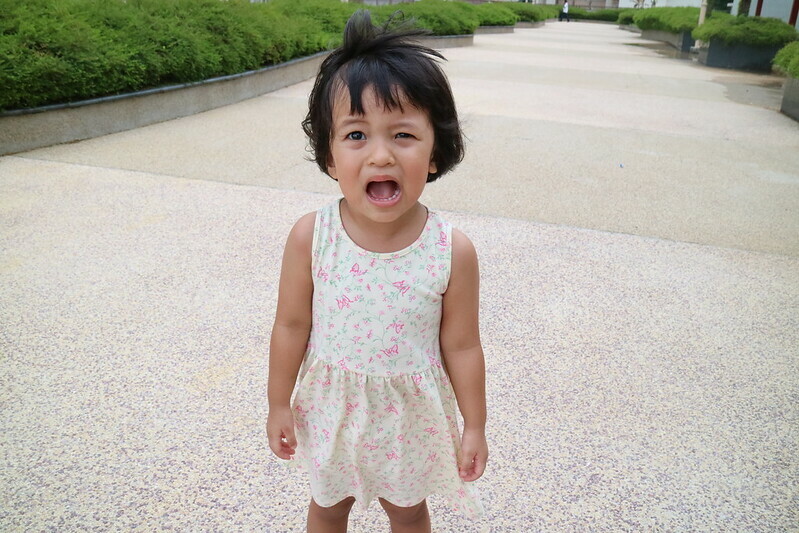 Indeed, we have to bring play into our home with the haze! 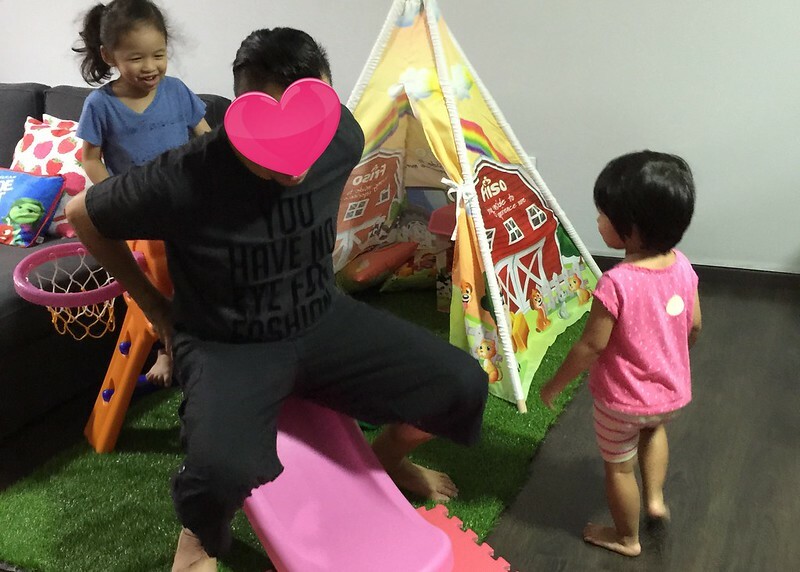 Such a fun play area and really a good deal for a freebie!! Looks so much fun… love the tent. So cosy!